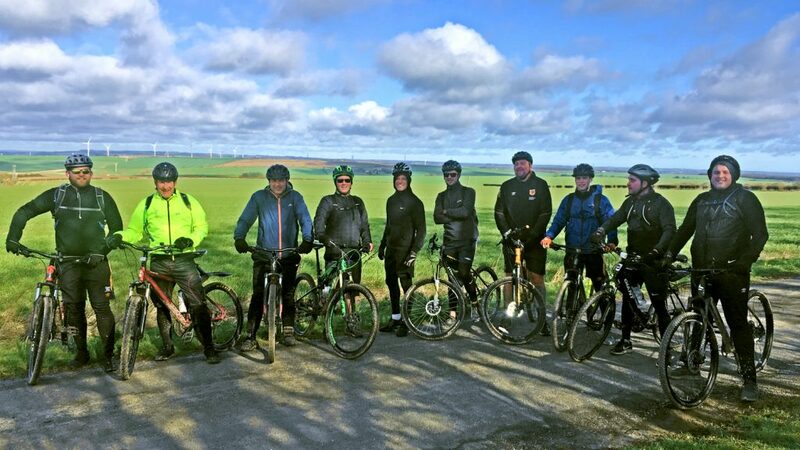 A team from the Tigers Trust is preparing to complete a 200-mile cycle challenge to raise funds to set-up sports sessions for visually impaired people in East Yorkshire. A total of 18 colleagues will pedal from Southport to Hull across the Trans Pennine route in a bid to collect £5,000 to provide weekly sessions. Along the way, they will also be working in partnership with other football clubs to deliver visually impaired sports sessions at Southport, Manchester City, Manchester United, Everton, Liverpool and Doncaster Rovers. It’s hoped the sessions will offer the trust a unique chance to share ideas and learn how sporting opportunities for visually impaired people are run at clubs across the country. Matt Barr, Project Lead Officer for the trust and event organiser of the challenge, said: “We are delighted to be supporting the visually impaired project for the Tigers Trust this year. “With so many riders and support we are determined to make an impact and raise funds for vital equipment. The challenge takes place from 2nd May to 5th May with the riders aiming to arrive back in the city for Hull City’s game against Bristol City at the KCOM Stadium. Tigers Trust Interim Trust Manager, Marc Ledingham, said the team was passionate about the challenge, especially as there are currently no other specialist sports sessions for visually impaired people in East Yorkshire. “This is a massive challenge for members of the team at the Tigers Trust to take on and I’d like to take this opportunity to thank them for their time, effort and commitment to the challenge,” he said. “I wish them all the very best of luck and hope all the club’s supporters get behind them. I would also like to thank those organisations which have already helped support us in some way, especially St Michael’s Youth Club, who have kindly helped support us with a minibus and bikes for the challenge. To support the cycle challenge, visit www.virginmoneygiving.com/fund/TTCoastToCoast. Be the first to comment on "Cycle challenge in aid of sports sessions for visually impaired people"